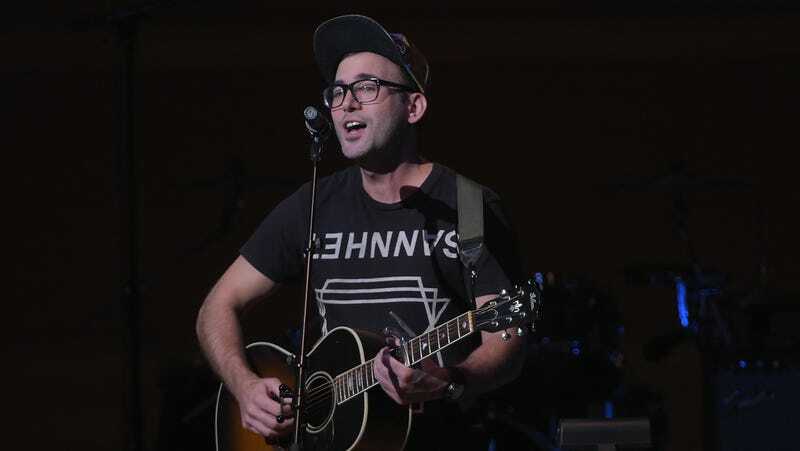 Sufjan Stevens, indie rock icon and purveyor of sonic, queer loneliness, will perform at the 2018 Oscars Sunday, March 4th. The Academy announced Wednesday that Stevens will perform “Mystery of Love” from the Oscar-nominated film Call Me By Your Name—the track, a Stevens’ original, was nominated for Best Original Song—marking his first ever Oscar nom. When you get right down to it, this is a victory for indie rock as a dang whole: Stevens became a prominent force in the nebulous genre for his heartfelt lyrics and ambitious concept albums. For a while there, he was planning on releasing an album stylized and named after every state in the United States, calling it quits after 2003's Michigan and 2005's Illinois. While I’m still trying to forgive him for skipping out on my home state of North Carolina, it’s cool that the singer will perform at the entertainment industry’s best-known award show. In case you haven’t heard “Mystery of Love” yet (how?!) check it out below. And watch the beautiful video, featuring scenes from Call Me By Your Name.